Want spacious townhomes for rent in Bucks County, PA? Look no further than Morrisville's The Commons at Fallsington. Located close to major roadways, our centrally-located, pet-friendly townhomes are packed full of convenient comforts and amenities, including in-unit washers and dryers, access to a community pool and a new fitness center. An excellent community for families, our local school district proudly employs some of the highest paid teachers in Bucks County! Our floor plans are spacious, including one, two and three bedroom layouts to meet your family's needs. 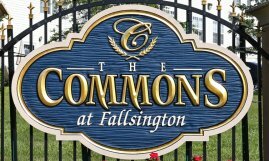 Want more information on The Commons at Fallsington? Ask us!